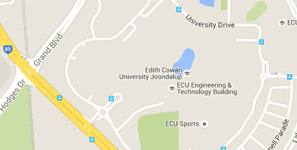 ECU offers flexible study options for postgraduate students. If you’ve ever considered a postgraduate degree, you might be wondering how you can juggle your already busy life with study. Edith Cowan University’s (ECU) Manager of Student Success, Dr Fiona Navin, is an expert in helping students achieve their study goals. She has five tips to assist with balancing postgraduate study with life, family and work commitments. “Postgraduate study is incredibly rewarding and it’s important to be realistic about the commitment you’re making,” Dr Navin said. “Map out a plan for your time, finances, work and home commitments. Dr Navin recommends identifying a course, or a university, that offers flexible study options such as evening, online and part time classes. The availability of free student support is also important. “For example, at ECU the Learning Advisers and Student Success Officers are there to help students at every step of the way with advice on study, career and how to balance it all,” Dr Navin said. It’s an approach that has been recognised by The Good Universities Guide 2019, which recently gave ECU 5 stars for overall student experience, skills development, student support and learning resources. And if you have children, check whether on-campus childcare or crèche facilities are available. Don’t assume leisure time has to disappear as soon as you start studying. Making time for the things you love is important for a healthy study-life balance, says Dr Navin. “You need to have downtime during your week, otherwise you run the risk of burning out,” Dr Navin said. “Find time to do the things you love – this could mean meeting up with friends or family, fitting in exercise or simply watching a movie or reading a book. “If you plan on juggling study while still working, you should ask your employer if they can be flexible,” Dr Navin said. If you’re studying in the same industry or field as your current job, your enhanced skills and knowledge will not only benefit you but also your employer. If it’s been a while since you last studied, it’s easy to lose confidence and think it’s all too hard, says Dr Navin. Want to know more? For more information about postgraduate study, call 134 328 or visit ECU’s postgraduate website.